Room 2 is our spacious en-suite twin room. 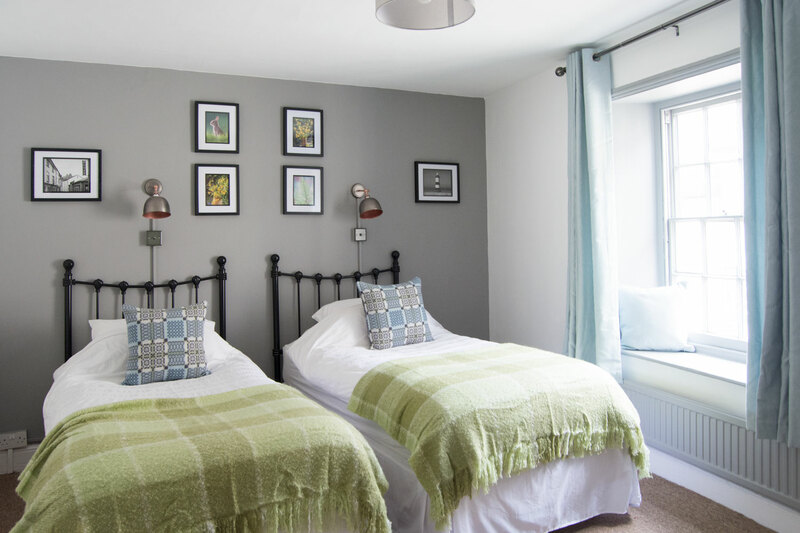 The room includes a Freeview television, tea/coffee making facilities, free WiFi and two comfy single beds. Rooms are available for single or double occupancy. All room rates include a full English breakfast made from locally produced sausages and locally cured bacon with fresh free-range eggs. Tea, Coffee and Cereals are also available.